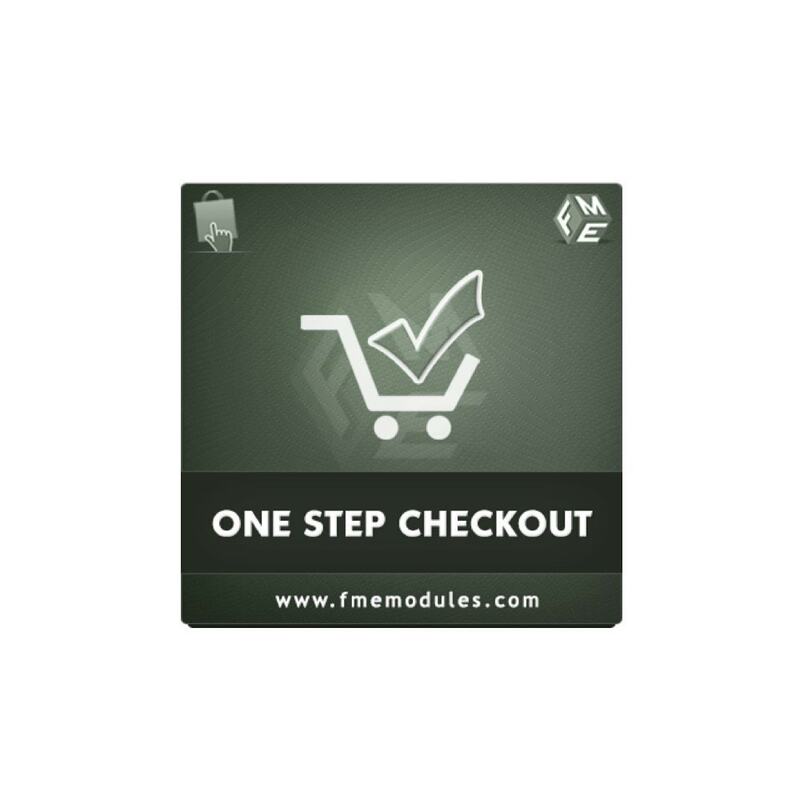 PrestaShop One Step Checkout Module make your checkout simple and easy by showing all fields on one page checkout. 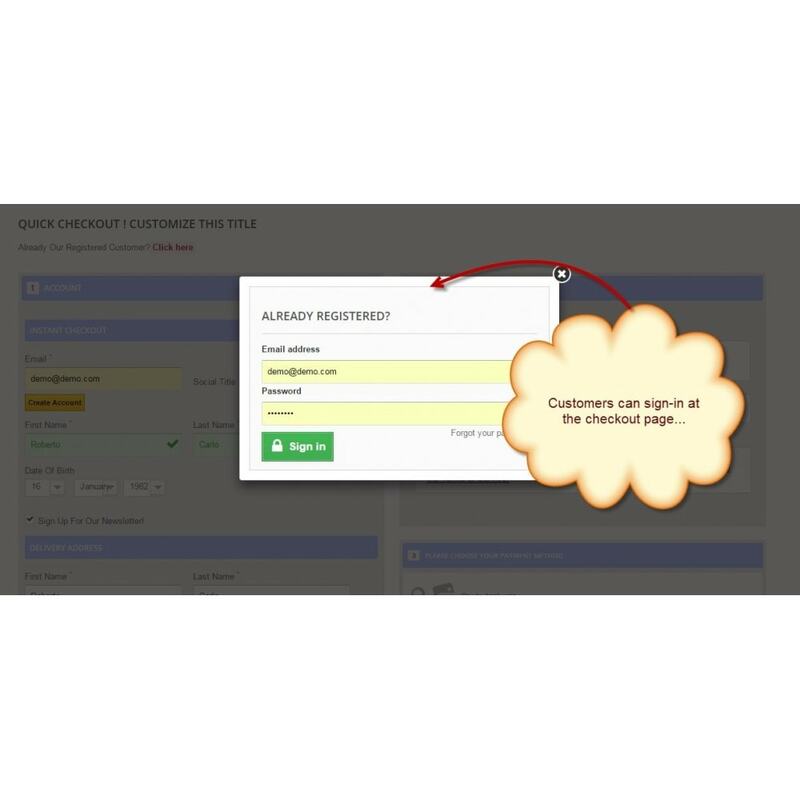 Your customers can now quickly checkout without any trouble. 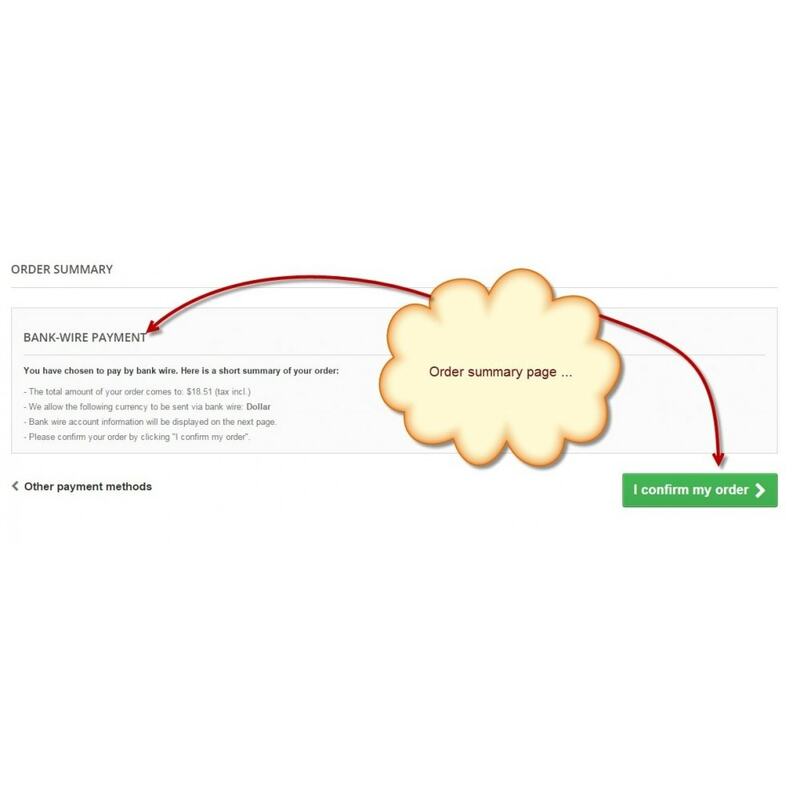 PrestaShop One Step Checkout Module adds short, simple and user-friendly checkout page to your website and removes the complex multi-step default PrestaShop checkout. 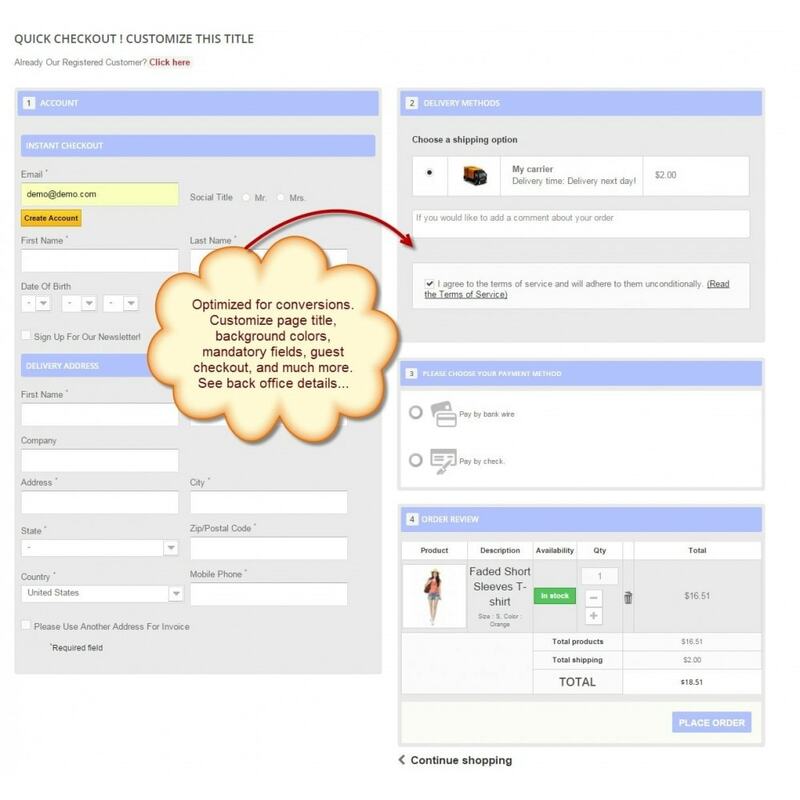 Your customers can now quickly checkout without any trouble. 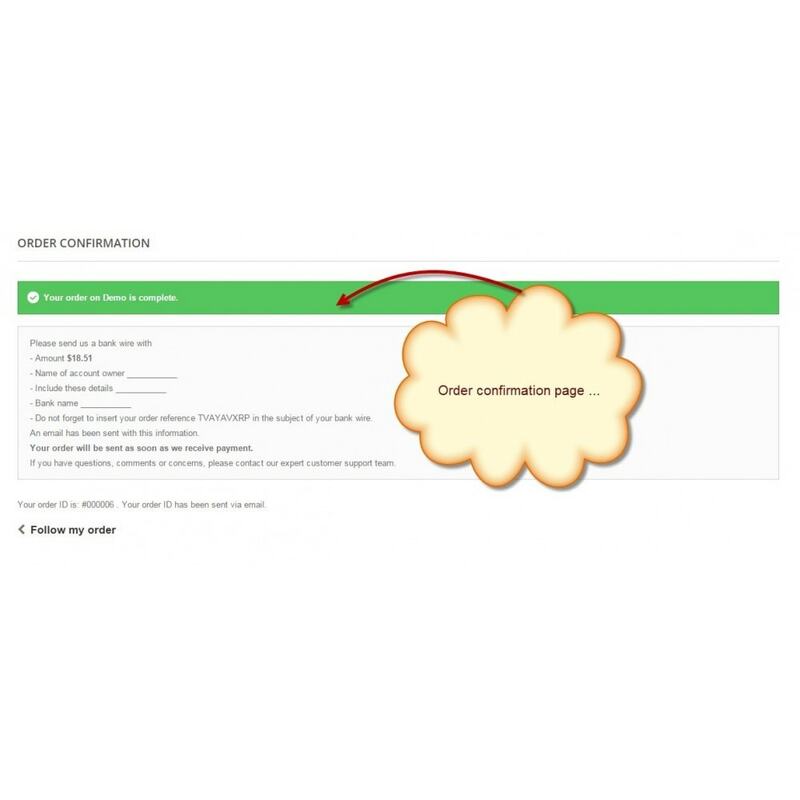 They can also add comments on checkout page to send additional information to the store admin. 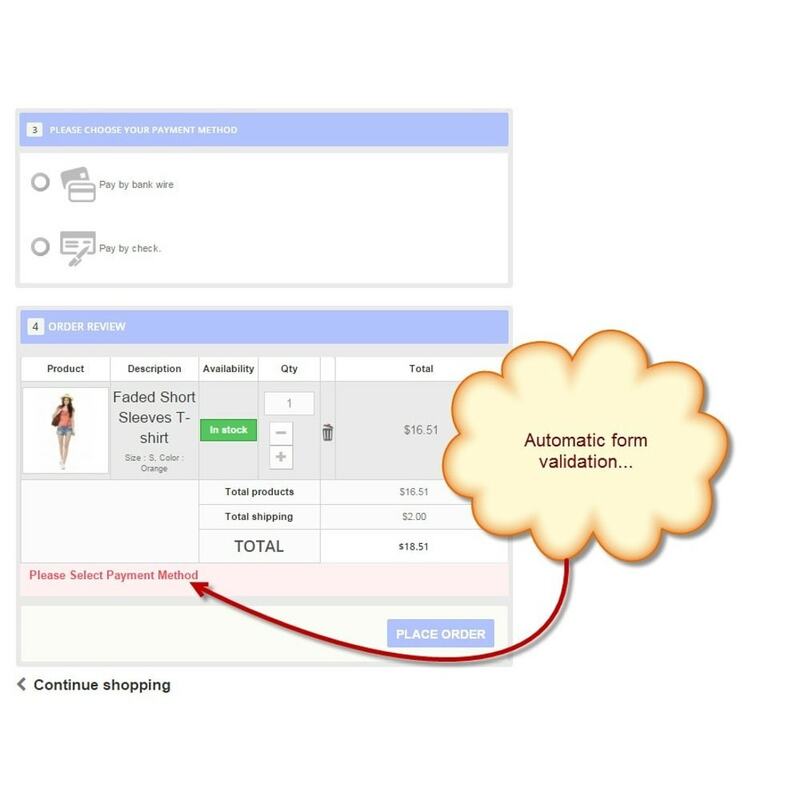 The module reduces the cart abandonment due to its AJAX based checkout process and elegant design. This Ajax based responsive PrestaShop One page checkout module supports guest checkout, multiple page layouts, elegant color scheme for friendly user experience, persistent cart table and much more. 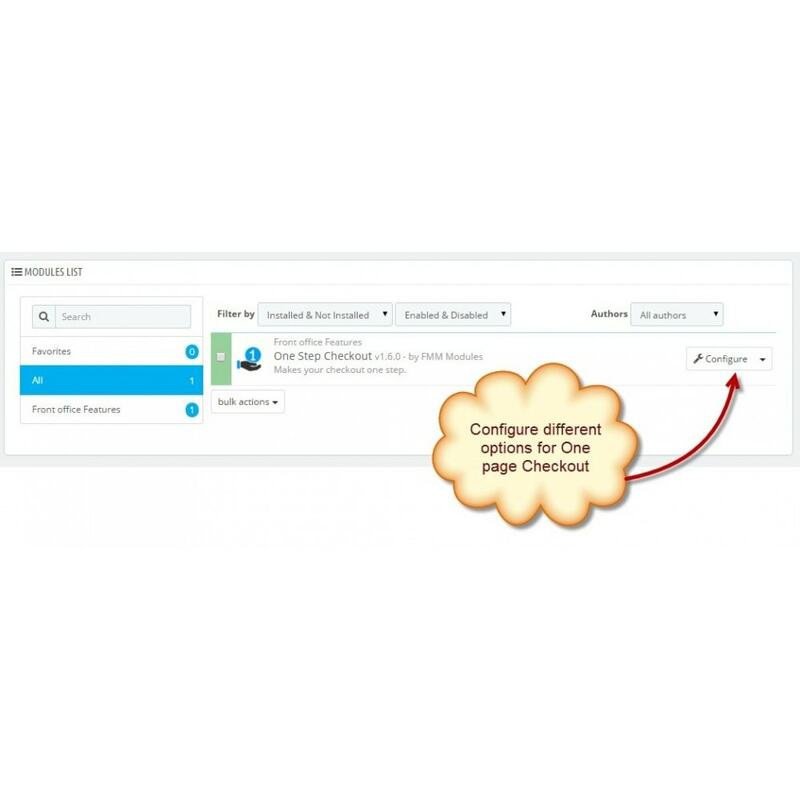 Click on DEMO to find an instant view of all the features. 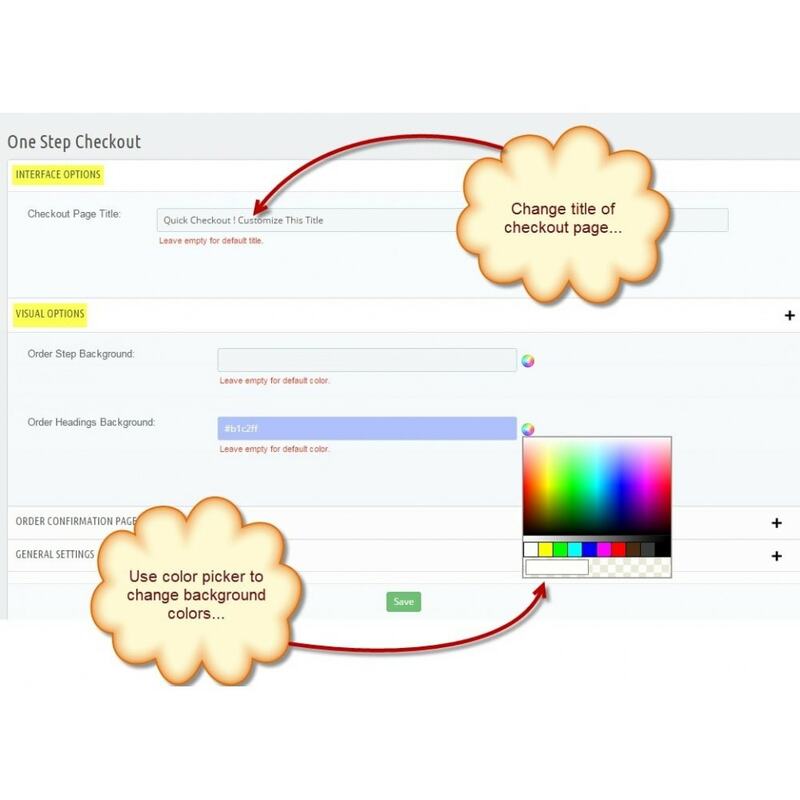 Supports multi-color backgrounds for both headings and step blocks. 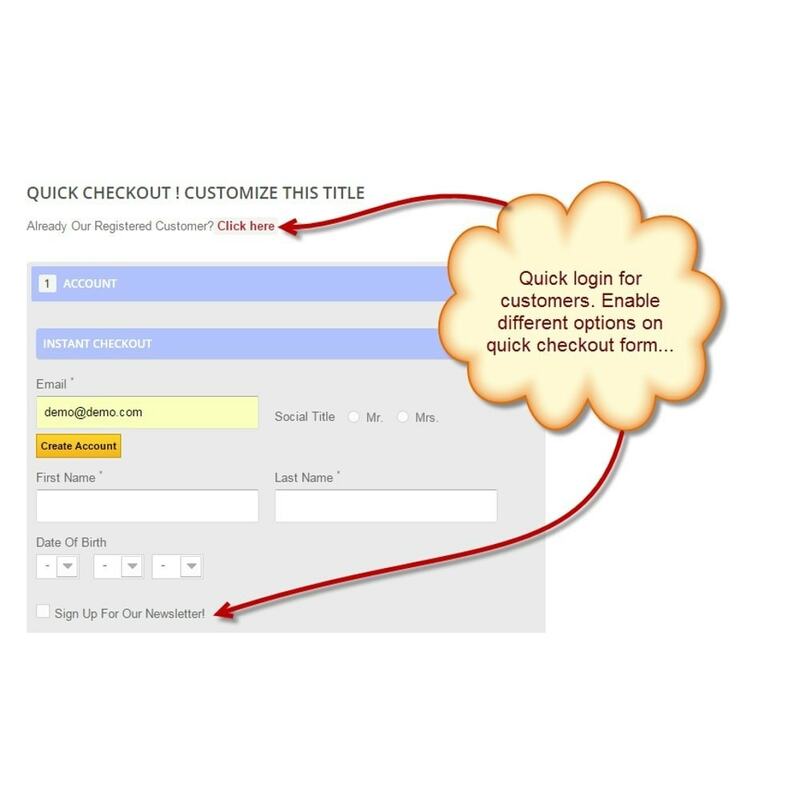 The quick checkout module allows signup of new client during checkout in a nice popup. 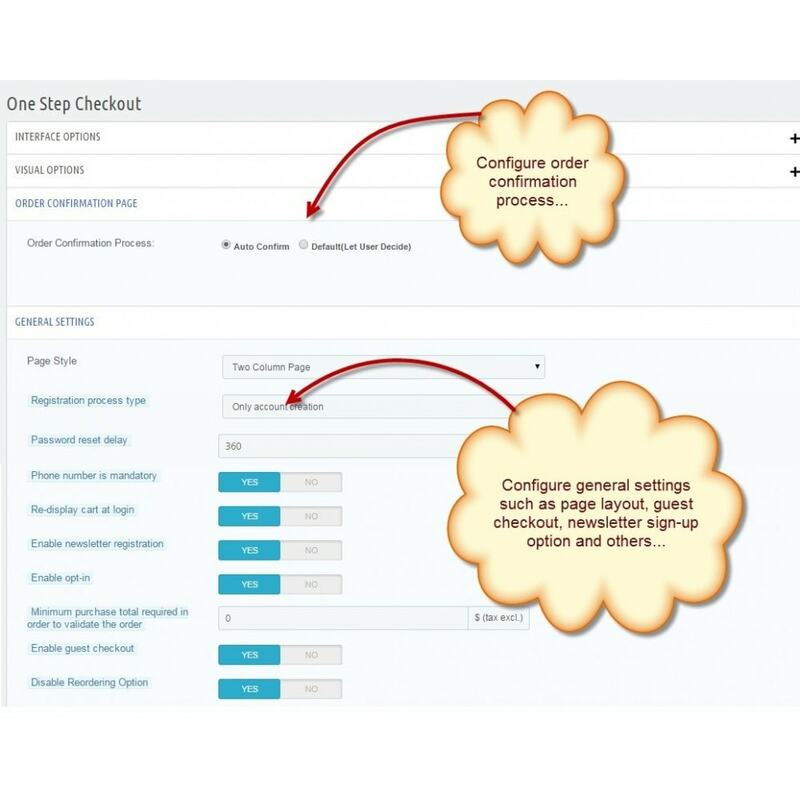 One click installation and thoroughly tested for cross browser, cross PrestaShop versions compatibility.